Congratulations! After all your hard work and perseverance you have found a property that you want to make your home. There are still a few steps to go through before it finally becomes your home so its important that you read more about what is involved in this section. You might want to consider utilising the services of a solicitor/conveyancer at this stage. Once you have found the property you want to buy, ask the agent or owner for the contract of sale and you should have your solicitor or conveyancer check the document. Your solicitor or conveyancer will explain the contract to you. He or she may recommend a change to the contract. (If you need to find a solicitor or conveyancer you could ask your acquaintances and colleagues if they can recommend someone, or refer to the Yellow Pages). Once the contract of sale is deemed acceptable, you may want to have a professional property inspector check the property you intend to buy to provide you with peace of mind. Dont be tempted to skip the inspections if youre worried about the cost. Your solicitor will usually be able to refer you to professionals who can do these property inspections. You will receive a detailed written report on each of these inspections, which are likely to cost between $200 and $600 each (although this may vary depending on the circumstances of your property transaction). If you discover problems with the property (e.g. rising damp, white ants, sinking foundations) and you are still interested in buying the property you can ask for a reduced price, or ask that the problems be rectified. Alternatively, you may decide not to purchase the property because of the extra hassle and cost of fixing the problems. conditions of windows, carpets, walls, fittings etc. But remember that a building inspector, no matter how good they are, wont find all the potential faults with a property especially if they cannot access certain areas. A pest inspector will check the property for signs of damage by borers and termites, and assess the extent of the damage. There may be evidence of live termites/borers or past damage. The inspector may be able to give you advice on how to get rid of the pests and the cost, as well as any other ongoing problems that it may present. what the strata regulations are regarding items such as renovation, refurbishment or pet ownership. The Strata Title Scheme (Owners Corporation) is either managed by someone who lives on site in one of the other units/townhouses, or else a professional independent strata services organisation. You can ask your solicitor or conveyancer to do the stratainspection, or you could do it yourself if you feel comfortable doing this. This inspection will check such things as the size of the land, orientation, boundaries and compare it with what is in the contract. It will also check the gradient of the land, assess water drainage issues, and identify any easements etc. How do you make an offer on a property that you’d like to buy? When should you pay a deposit? What is the difference between an auction and a private treaty sale? This section focuses on some of the things you need to consider when you are ready to show a genuine expression of interest in a property. You’ll need to liaise with a few people at this stage, such as your home loan provider to make sure your finances are in order, the real estate agent selling the property and your solicitor/conveyancer. Private treaty sales are the most common way for property to change hands. This involves a real estate agent, or with property for sale by owner, the owner themselves, setting an asking price. The property is put on the market and a buyer is sought. The price is often negotiable. When you have found a house to buy or bid on, you may want to notify your bank/broker and solicitor or conveyancer first to make sure everything is in order and they are on hand to help you once you successfully make an offer. If you wish to buy a property, you make an offer to the real estate agent, who then talks to the property owners. There is usually some negotiating of price, and if both parties are happy with a price, a contract of sale is signed by both the vendor and the purchaser. This is called exchanging contracts and is when you put down a deposit. With private treaty sales there is a legislative cooling-off period after the contracts have been exchanged (unless the period has been waived at the election of both parties). This means that the purchaser can change their mind and decide not to go ahead with the purchase. The purchaser must inform the seller in writing, and the deposit will be returned. However, the vendor may be entitled to retain 0.25% of the purchasers deposit. This may vary depending on the type of purchase, the contract and the state/territory you are in. Tip: Beware of gazumping – it is not until you have exchanged contracts that the property is yours. An auction is when prospective buyers come together and bid on a property, with the highest bidder being successful, subject to the bid exceeding the sellers reserve price. Auctions can be very emotional, and it is important not to get swept away by the exciting atmosphere and offer more than you can afford. In some states, to bid at auction you must first register with the agent selling the property and obtain a bidders number. You will need to show some form of identification e.g. a drivers license. When the auction begins, you must display your bidder number each time you make a bid. The auction will begin at the allocated time with the auctioneer welcoming people, and announcing that he or she will start the auction. Some details about the property will be read out such as the address and some of the key features of the property. The auctioneer will then ask for an opening bid.The vendor may make a vendor bid to get the ball rolling. Once the auction is in progress you can make a bid at any time, either verbally or non-verbally, by raising your hand or nodding your head (and displaying your bidder number). The auctioneer normally informs people of the increments that you can bid on. At the beginning its not unusual for bidding to be made in $10,000, or sometimes $20,000 increments. When you feel like slowing the increments down, you can offer an increase of $5,000 or less (e.g. $1,000). However, the agent can ask that bids be kept at $5,000 increments, but if bidding stalls, they may accept $1,000 and even $500 increments. What Happens When Bidding Stalls? When bidding stalls, the auctioneer consults with the vendor to ask if the reserve price has been reached. The auctioneer will then announce either that the property is now on the market or that it has not reached its reserve. If it is on the market bidding continues until it stalls. The auctioneer will then solicit final bids, repeating the highest bid. If there are no further bids he or she will say Going , going, gone or Going once, going twice, going three times, sold! and bring down his or her hammer (or hand) on the word gone or sold. The property is then sold to the highest bidder. When bidding does not reach the owners reserve price the property is not sold. The house is then considered to be ” passed in.” If the house is passed in, the highest bidder usually has first opportunity to negotiate with the seller and the agent. What Happens If Your Bid Is Successful? As the successful bidder, you will be required to sign the contract and pay a deposit on the spot, usually 10 percent (however, you can negotiate with the seller to put down a smaller deposit prior to the auction). So don’t forget to take along a cheque book, deposit bond or some other means of payment. Its best to check with the real estate agent before you attend an auction as to what form of payment is required on the day. Auctions automatically waive any cooling-off period. So be aware that once you sign the contract, if you do not continue with the purchase, you will lose your deposit. You may also be liable to the vendor for the deficit realised on the sale of the property within 12 months of the auction and reasonable costs associated with that sale, or you may be sued by the vendor for breach of contract. Once you have exchanged contracts you can breathe a sigh of relief and congratulate yourself on your new purchase! Conveyancing is the next step in the buying process – which is the process where a property is transferred from one party to another. This is usually done via one of three ways: a solicitor, a conveyancer or by the purchaser via a do-it-yourself (DIY) conveyancing kit. The length of time between exchange of contracts and settlement varies. It normally ranges from four to six weeks. Settlement time is normally dictated by the seller and the banks providing the mortgages, but is negotiated with the buyer. Normally a day prior to settlement, the buyer should visit the property for a final property inspection to make sure that it is clean and that all fixtures and fittings that were sold as part of the sale are still there e.g. dishwasher, TV antenna etc. If its not in the contract of sale, dont assume it will be there when you move in! If there are any issues with the state of the house on final inspection, your solicitor or conveyancer may be able to help you resolve your issues. If at any stage you experience problems with the buying process, you may want to contact your solicitor or conveyancer who might be able to answer your questions or guide you in the right direction. Some lenders wont lend you money unless the building is insured. Depending on the arrangements with your lender, you may not have the loan monies advanced to you until the building is insured. You are not obliged to effect insurance until the date of settlement, however, your lender may require evidence of insurance prior to settlement. Finally, settlement day will come, when you or your representative will discuss adjustments to rates and other payments involved in switching property ownership and will hand over a cheque (or series of cheques based on the required disbursements) in return for the title of ownership. Relevant authorities will be notified about the change in ownership by either your solicitor, conveyancer or you (if DIY). 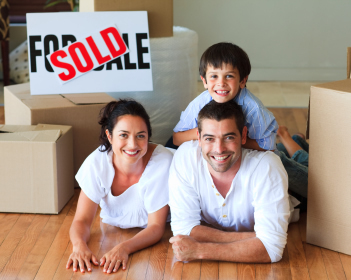 Conveyancing is an important step in the buying process it is where a property is transferred from one party to another. This is usually done via one of three ways: a solicitor, a conveyancer or by the purchaser via a do-it-yourself (DIY) convenyancing kit. Solicitors are usually the more expensive option, but can provide you with a wide range of legal advice in relation to property, wills etc. Expect to pay anything from $400 to upwards of $1,500, depending on the circumstances of your particular property transaction. Note that in Western Australia you can only use a solicitor for the purchase of a property if that solicitor is also licensed as a conveyancer. Conveyancers are licensed to provide the same conveyancing services as solicitors, but can only give legal advice relating to property. If you also need advice on other areas, such as tax or your will, you will need to see an appropriate adviser such as a solicitor and/or accountant. Conveyancers are usually cheaper than solicitors, with their charges ranging from $600 to $1,000 (although their costs will vary depending on the circumstances of your particular property transaction). For those who like to be hands on there are DIY conveyancing kits on the market that are suitable for both buying and selling a home, and for auction and private treaty sales. These kits provide a step-by-step guide to conveyancing, and some offer a telephone support service to assist you. The major advantage of going the DIY path is the money you can save, but there are potential pitfalls into which a solicitor or conveyancer is less likely to fall. The professionals indemnity and fidelity cover is also a factor that a buyer may wish to consider. DIY conveyancing kits range from about $90 to $150. The contracts have been signed and the property you have purchased is about to become your home. Now you`re ready to move from one home to the other. This section looks at how you can find a removalist, or what to consider if you decide to move yourself. You will also read about the option of insuring your possessions during your move and most importantly, letting people know your new address! Moving to a new home is a huge logistical exercise, but with proper planning you can reduce some of the stress involved. Once you have exchanged contracts you should start planning the logistics of the move. The best way of finding a good removalist is to get a referral. Failing that, you can find a removalist via the internet or the Yellow Pages. Using the internet is a very quick and efficient way to research the range of services offered by each company. Most removalists have a free online quote service, where all you have to do is enter all your details, and a quote will be emailed to you within 24 to 48 hours. You might want to get between three and four quotes before choosing a removalist. If you have got some friends or relatives that are willing to help you move, you could hire a van or truck and do the move yourself. You`ll need to work out how many cubic feet of non-boxable and boxable possessions you need to move so you know what size truck to book. Don`t book open trucks, it`s bound to rain. Hiring a truck is relatively simple. You might want to get three or four quotes from different truck hire companies and compare the benefits and costs. Source boxes as well often truck rental companies can help here. If you need to hire moving equipment to help you move large items (e.g. trolleys, blankets, ropes and pads) you can find various companies listed on the internet (search for moving equipment).If you need to organise storage, source quotes and select a company. Consider whether you need to take out insurance for your furniture and other household items while they are in transit from your old property to your new property. If using a removalist, ask about the level of coverage that you will receive and the cost. Insurance normally covers the cost of any damage or destruction of your property during the moving process, although you should carefully read the insurance policy to find out exactly what is covered. You may also want to check that it covers theft. Australia Post can redirect mail from your old address to your new address for a specified period of time. Simply complete and lodge an application to redirect mail in person at any Australia Post outlet. Then when you receive your redirected mail you will be reminded as to which companies you still need to notify about your address change.